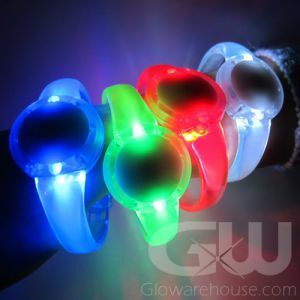 - Triple Wide Glowing Wristbands! 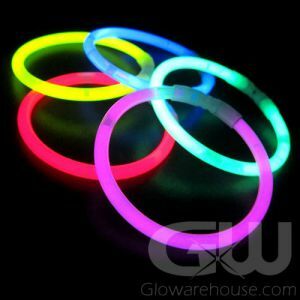 - Thicker than any other style of Glow Bracelet! - Tri-Color Option has Green, Blue & Pink All in One! - Charity Events! Fesitvals! Clubs! Special Night Events! You are going to need a wristband to get into this party. And it better Glow! 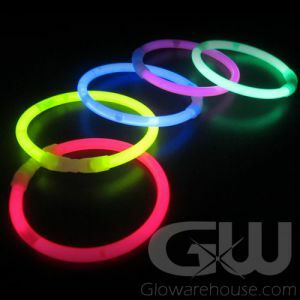 Make an amazing glowing statement at your next event with triple wide Glow Wristbands! 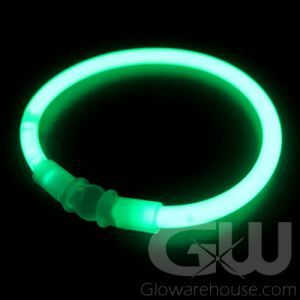 Use the Wristband Glow Bracelets to keep track of your guests at parties, concerts, clubs, festivals and even during night time sports games to designate teams. 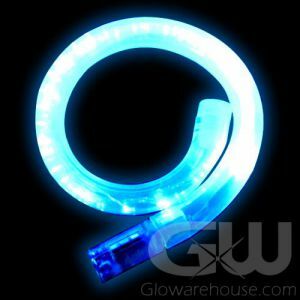 Great for lighting the kids up at night on Halloween or while camping. 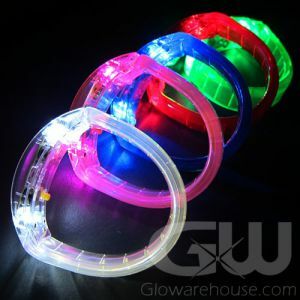 The wristband glow bracelets have an 8 hour glow duration, are waterproof, come with a break away connector and will fit most wrist sizes. 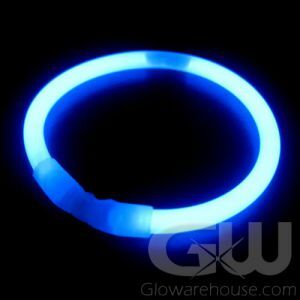 Just crack along the glow wristband to activate and give it a shake to start the glow. 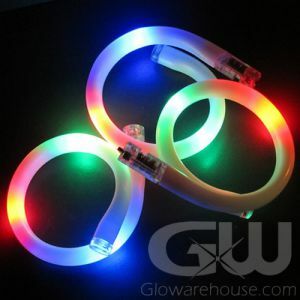 Glowarehouse.com is proud to carry Duralume brand glow sticks, glow necklaces and glow bracelets, so you can be sure that your using only the highest quality glow! The Glow Wristbands also look great custom printed! 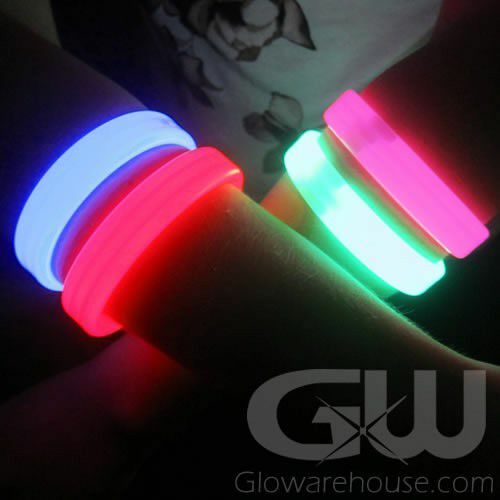 Call us today at 1-877-233-GLOW(4569) and we can get your glow wristbands imprinted for your next event! 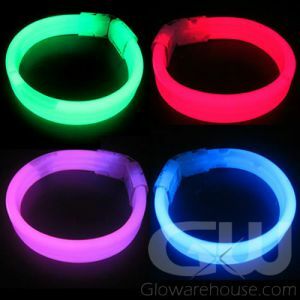 The Tri-Color selection consists of three fun colors (Blue, Green and Pink) all in one glowing wristband bracelet. 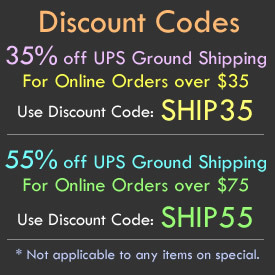 The Tri-Color option is an extremely popular color choice suitable for everybody!